Baby Shark is all the rage now. 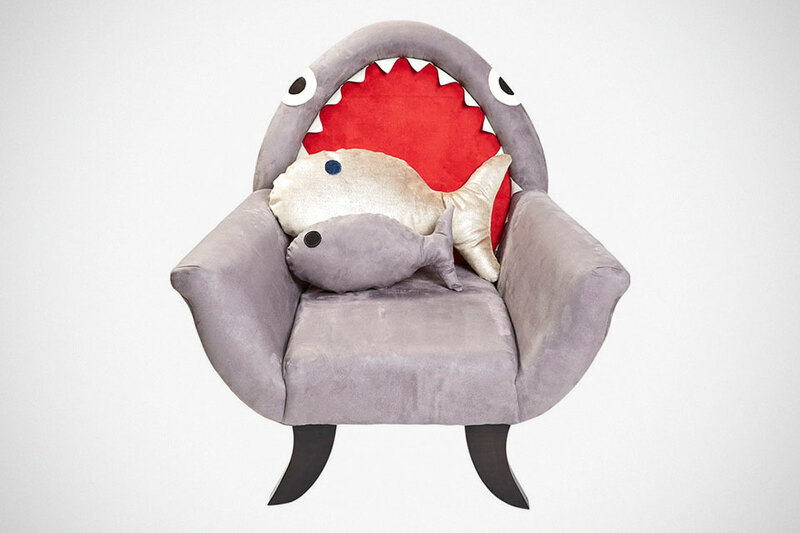 But does it has anything do with The Great Grey Shark Chair? Nope. Nothing, except for they are both about shark. 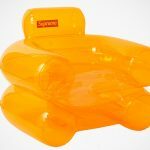 While your kids dance to impossibly catchy children song, this one here is a functional furniture that lets you kid cosy on. Handmade by Etsy seller Reroom UK, The Great Grey Shark Chair is one kids’ chair that’s both cute and menacing. 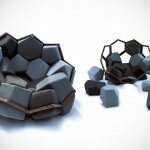 I am guessing the latter is what today’s kids is into and so, it will be a perfect addition to any kid’s room. Or maybe the morbid love for menacing stuff is just exclusive to my 7-year-old nephew. 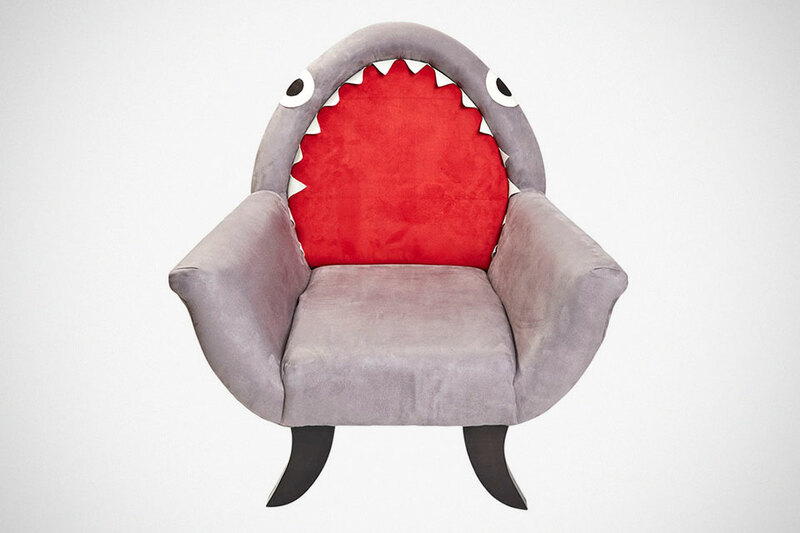 The chair has all the details that make of a shark, minus the infamous fin. Speaking of which, it could use a fin for that extra realism. Just saying.. Anyways, like I have said, it has everything that makes it a shark, from the fin legs, gills on the side, (not razor sharp) teeth, and the requisite red to represent the shark’s inner mouth. 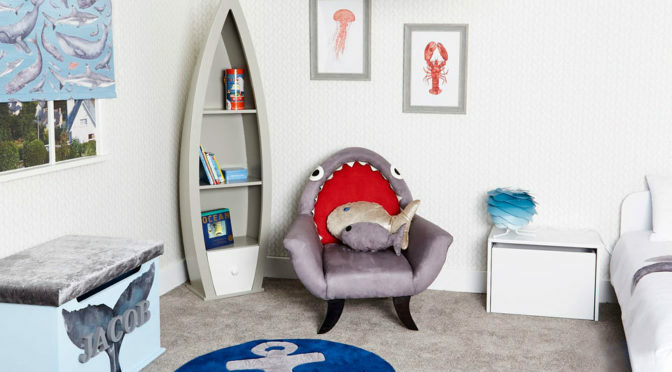 The chair is made from beech and birch frame, packed with foam and then upholstered in a suede-feel polyester with leather detailing for the the eyes, teeth, and gills. 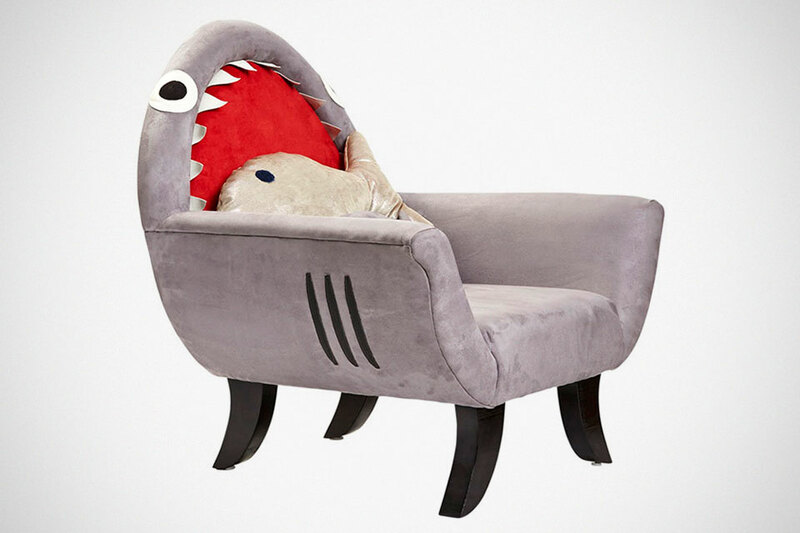 Each chair comes with a pair of tiddler fish cushions for extra comfyness, or satisfy the shark’s hunger. Just kidding. 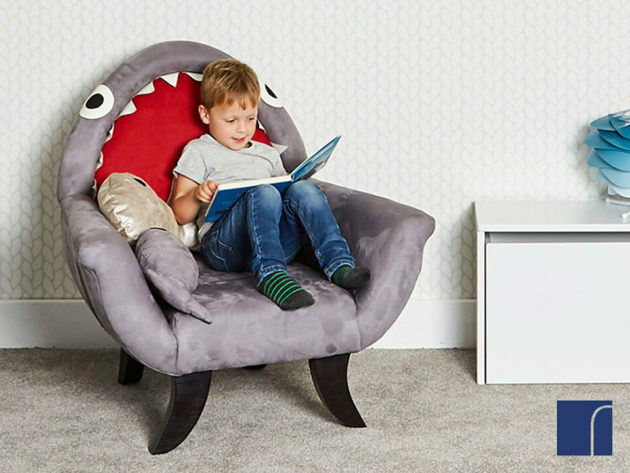 This adorable shark chair won’t bite people, but I can’t say the same for your wallet because, it commands a rather hefty $749,52. But for that investment, you’d be getting a really cool chair for your kid(s), plus a 10-year frame guarantee. Can an adult fit? I don’t know, honestly. How does 89 cm tall, 86 cm wide and 70 cm depth (35 x 34 x 28 inches), sounds to you?